Arizona Cardinals Helmet Charm $17.99 ea. 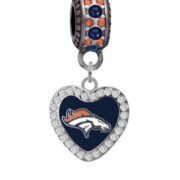 Denver Broncos Crystal Heart Charm $20.99 ea. 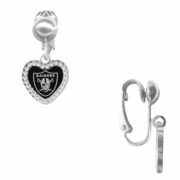 Oakland Raiders Crystal Heart Earrings - Clip On $14.99 ea. 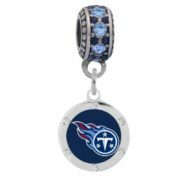 Tennessee Titans Round Crystal Charm $18.99 ea. 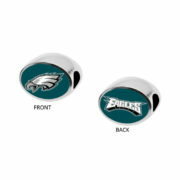 Philadelphia Eagles 2-Sided Bead $29.99 ea.